Dental Sleep Medicine is a funny business. There are over 35 million people in the United States with un-diagnosed sleep apnea. Of those who have actually been diagnosed, over half of them remain untreated, as their doctors offer them only CPAP as an option. What does this leave? There are millions of candidates who could possibly be treated with an oral appliance. Hence, there have been a lot of companies over the years, which have tried to establish themselves in the world of Dental Sleep Medicine. Competition in this field is fierce. I wish I could say that the dental sleep companies were all in existence to help each other. Unfortunately, some companies and some dentists for that matter feel that since they were here first, others should not be allowed to join the fray. This old boy’s network feels that it’s better to do negative advertising on their competitors rather than talk about what they can offer. Back in 2015, while exhibiting at the annual American Academy of Dental Sleep Medicine meetingin Seattle WA, the booth opposite mine was manned by Avi Weisfogel of the Dental Sleep Masters Program. I did not know much about Avi, but was warned by people in the industry that I should stay away from working with him. Being someone who is not influenced by childish gossip and prefers to make up my own mind about people, Avi and I had a long discussion about the industry. He told me that he had developed a revolutionary system that would allow dentists to be able to see anywhere from 20-50 patients a month or more depending on how hard they worked. He was ambitious and wanted to gradually shift the dentists thinking. He knew it would take effort to mold their thinking. He also told me it was very important to him that his DSM members become very very good at what they did, actually beyond good, he wanted excellence, dentists who would be at the head of their field. During our conversation, we realized that the ASBA and its Diplomate program, was a great fit for his members, to develop their clinical technique as well as establish themselves as experts in dental sleep. Together, we started working with large corporations, physician offices and other services all, which would help dentists, succeed in the world of sleep and medicine. As I worked with Avi, I got to know a lot more about him on a personal level, such as the tremendous challenges he has had to endure, since he entered the sleep field, such as no sooner had he launched his own company, a competitor developed a website about him that was highly inflammatory and unnecessary, however after contacting the hosting company, an investigation(and one which I helped him with) into the website, concluded the content was false and the webpage was removed. Other competitors have reported Avi to consumer websites as a scam artist. However when he contacted the websites to challenge the comments through a hearing process, none of the ‘anonymous’ posters attended the online hearing, as it’s much easier to sling arrows when no one knows whom your identity. If they were so outraged, why not confront him. Again upon investigation, all of this so called damning material on the internet, which was supposed to be from un-happy members, was proven to be false and was proven to be strategically placed by competitors who were threatened by Avi and his company. What is it with this specialty we call ‘dental sleep medicine’. We are miles away from having a trade group that represents our interests with manufacturers, medical academies, insurance companies, hospital groups, etc. Meanwhile we have warring parties on every front, and most of them are considerable small groups on a revenue basis. Let us stand up for each other. I for one would like to stand behind Avi Weisfogel and endorse both his character and his contributions to the Sleep field. First, I know how hard it is to make it in this business, even if nobody was trying to cut you down. The baseless and unnecessary slamming that Avi has had to endure is completely unproductive. 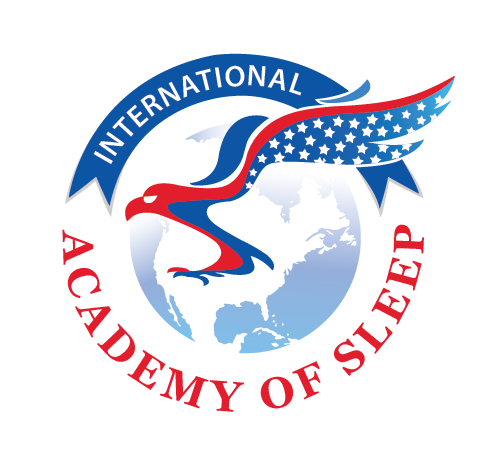 Second, I have personally met and spoken with many members of his IAOS group and these doctors are among the most successful in the world of sleep. Lastly, having worked personally with Avi, I can tell you have nothing to fear working directly or collaborating with him or his company. I myself was initially cautious upon hearing some of the claims from his program. So I did my own due diligence, with eyes wide open and happily developed a profitable and positive working relationship with Avi. I guess I was happy to learn he had been telling the truth. We are all aware the internet contains plenty of misleading information, but we also know it is an amazing resource when gathering facts in the proper fashion. Fact number one: Avi has explained to me how he voluntarily gave up his dental license. It was not revoked. More importantly Avi is very open about it. You can ask him! (iaosleep@gmail.com) he will gladly tell you the story behind it. The most important fact is that it has nothing to do with his company or with dental sleep medicine. Fact number two: Of course since he has no dental license Avi has no DEA license either. This is reported online, but it shouldn’t be construed as a negative, just a fact. I have asked Avi why he does not fight this internet nonsense, but in getting to know him I can tell you why… he would rather focus his time on the growth of his member’s practices and doing well, rather than expending energy with the negative side of things. There is no winning against anonymous internet posters. It’s simply a waste of valuable time. Let me summarize by saying the following. Avi Weisfogel is one of the most talented guys in Dental Sleep Medicine and since this field has a paucity of leadership, we should welcome people who passionately want to help our field. In the short time he has been in this field he has accomplished a lot, none of which is more impressive than the success of his members who actually work his dental sleep program. Are all of his members successful? Of course not. There isn’t a single group in our field who can claim that! However, every one that I have spoken to, who has followed Avi’s program as he has designed it, are doing great. Sometimes it’s a simple case of people who quit because they are looking for something easier, less costly. “The musician who finds the music industry hard, becomes a DJ, but ultimately is still not a musician, then comes back to realize they were originally on the right path, and should have stayed on that path. Get in line and stay there!” Does Avi have a dental license? No. Does he claim to have one? No. Should you believe all the internet garbage out there? No, Should you work with him? If you want to see more patients and are not afraid to work to get them, Yes. If the sleep industry was full of guys like Avi, I believe the industry would be working together for the common good. Having worked with Avi on a bunch of projects over the past few years I can tell you the value he brings to the table is immeasurable. There are certain projects that I do, that I insist we get Avi’s help with, because I know he will bring things to the team that others can’t. His ideas sometimes seem too ambitious; because he is such an “out of the box” thinker, tend to be very innovative and well received. I have personally seen him in action, where he has salvaged deals that looked completely dead. He has been a huge addition to the sleep industry and I can’t recommend him highly enough. I am really happy that I decided to make my own decision regarding Avi. If I had just done what countless others have done, which is discount him based off of an internet search, I would have missed out on having a great team member and a friend.